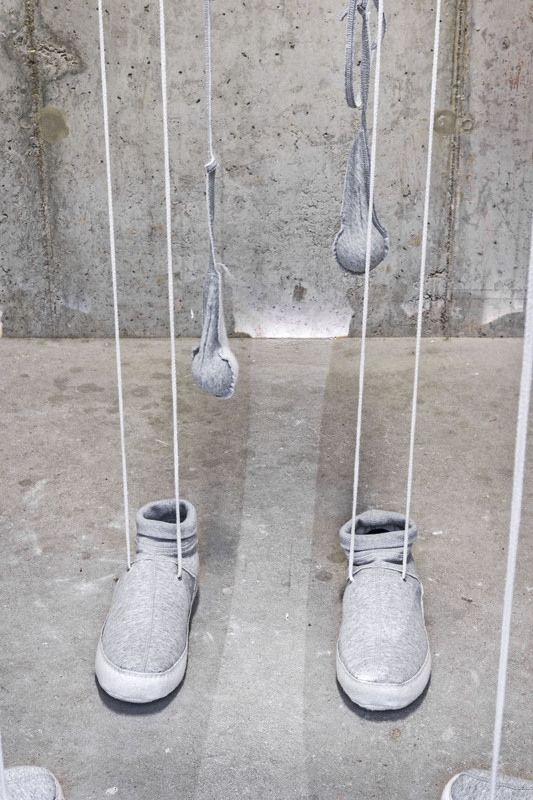 The installation Private Architecture features three bodily structures facing each other. 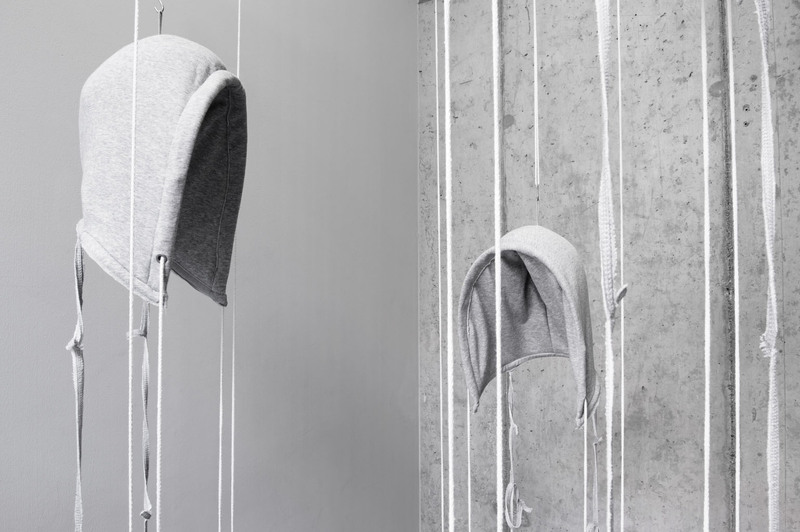 Each figure is sculpted from a single piece of clothing — a generic grey hoodie — which has been dissected and remodeled to trace the figure of a human body, as well as suggesting basic concepts of archi­tec­ture: the prin­ci­ples of a load-bearing con­struc­tion, column and beam. 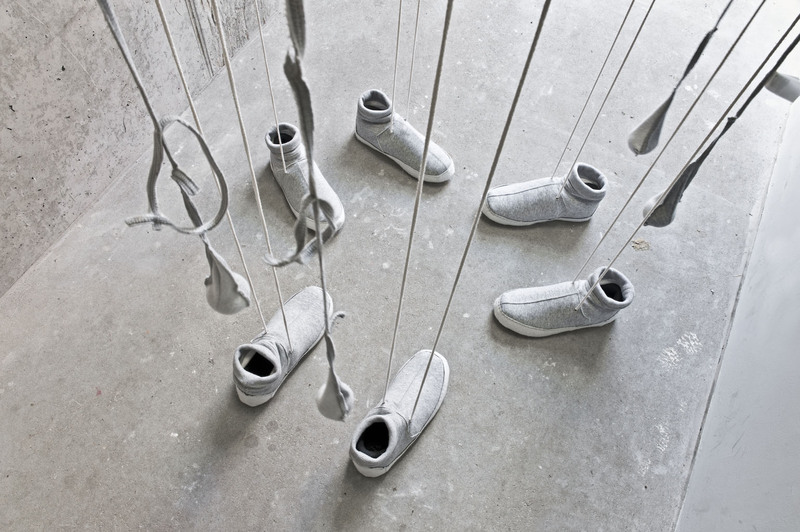 The thin skeletons of white drawstrings connect­ing the “pointed vault” of the hood to the “fun­da­ment” of the shoes are weighted by stuffed pockets. 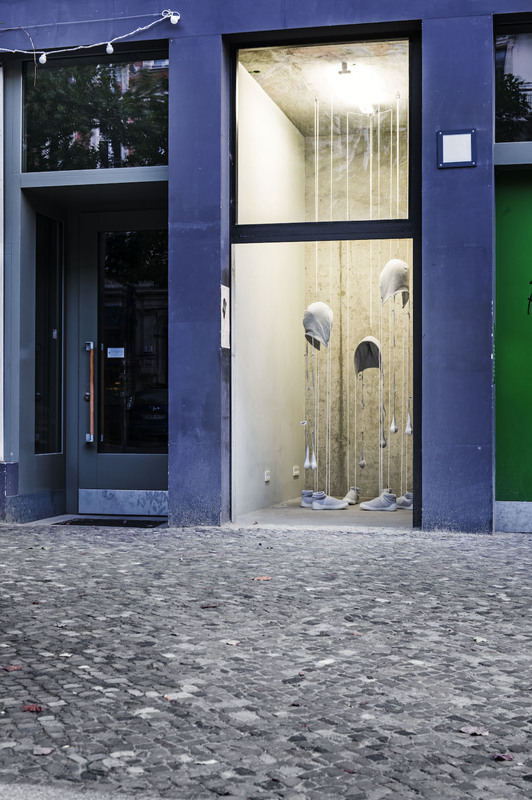 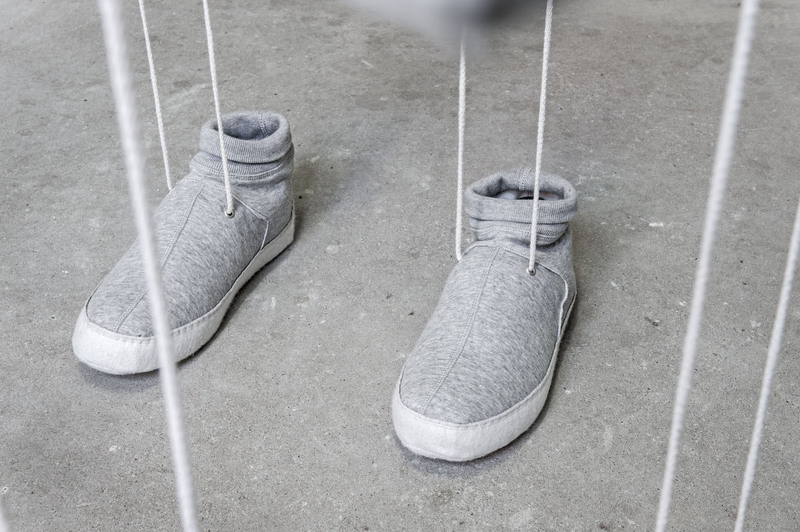 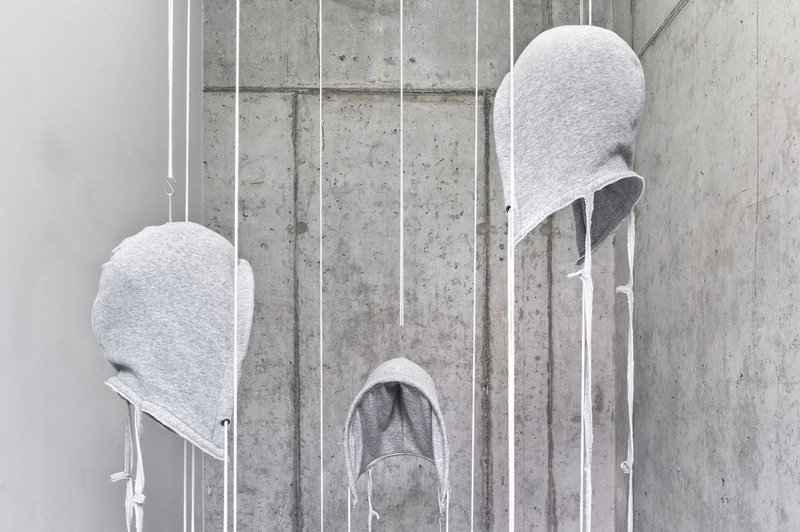 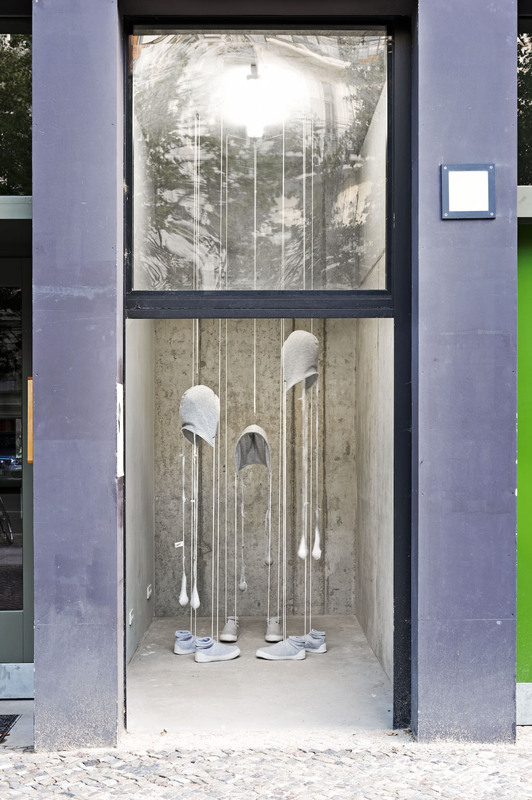 Hanging in the seam from the hoodie, they work as "plumb bobs" that em­pha­size the ver­ti­cality of die raum with reference to gothic archi­tec­ture, and as a masculine feature pointing to brother­hood or male bonding. 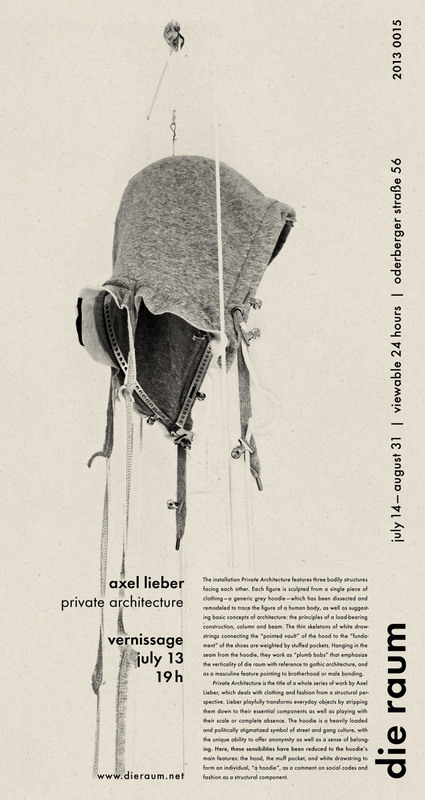 Private Architecture is the title of a whole series of work by Axel Lieber, which deals with clothing and fashion from a structural perspective. 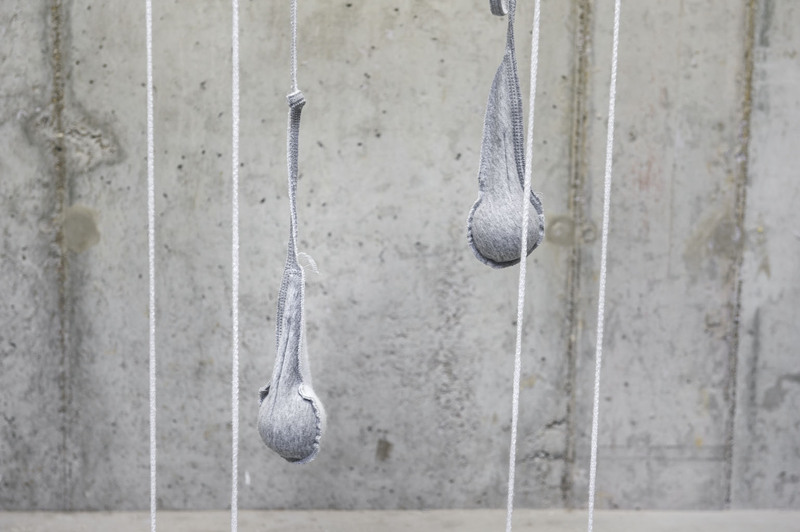 Lieber play­fully trans­forms everyday objects by stripping them down to their essential com­po­nents as well as playing with their scale or complete absence. 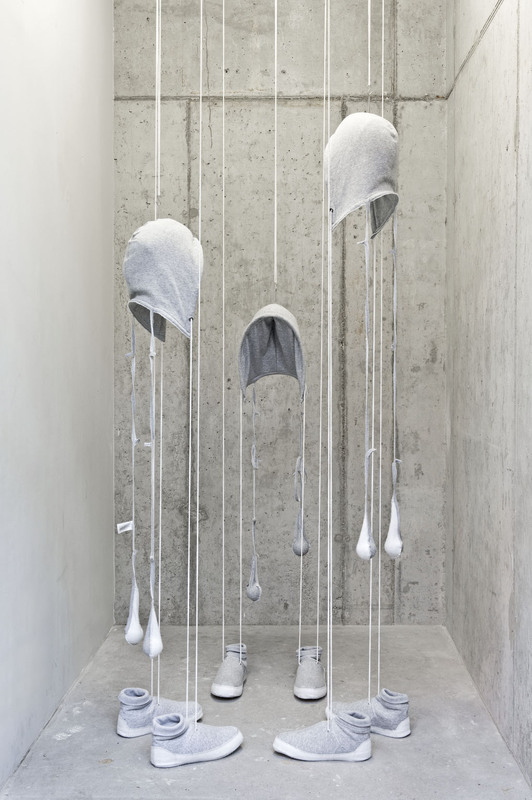 The hoodie is a heavily loaded and politically stigmatized symbol of street and gang culture, with the unique ability to offer ano­nym­ity as well as a sense of belonging. 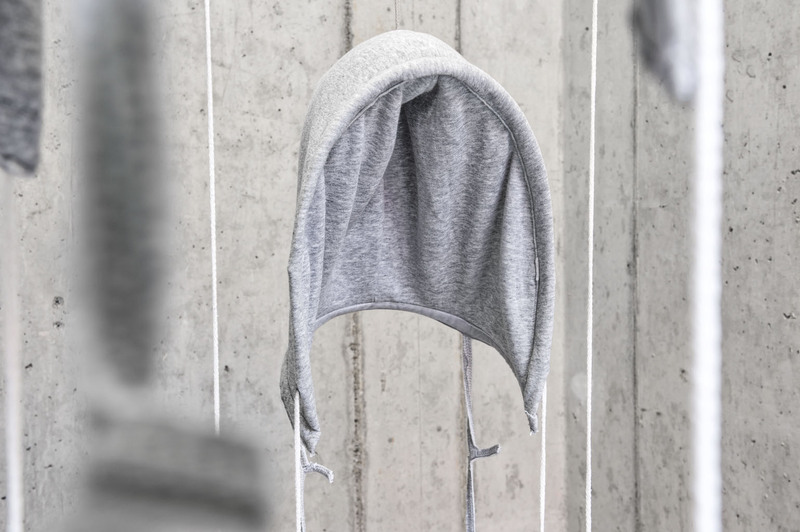 Here, these sensibilities have been reduced to the hoodie's main features: the hood, the muff pocket, and white draw­string to form an individual, “a hoodie”, as a comment on social codes and fashion as a structural component.